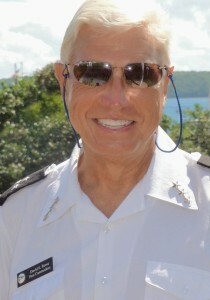 Chairman - Great Lakes Sailing Adventure Committee – 2012 to present. - Committee is responsible for the operation and maintenance of the Alden 52’ ketch “Retriever”. Provides offshore sailing and live aboard experiences to Scout units from throughout the U.S., cruising the northern Great Lakes. Owned by the Michigan Crossroads Council, Boy Scouts of America. Tall Pine Council Sail Training Committee Chairman – 1979 to 2012. - Committee was responsible for operation and maintenance of the sailing ketch, “Prevailing Winds II”. Chartered to Scout units from throughout the U.S, the vessel provided sail training experiences to Scouts while cruising throughout the northern Great Lakes and the North Channel of Canada. Owned by the Tall Pine Council, Boy Scouts of America. Mackinac Island to Manitoulin Island Sailboat Race – Race Committee - 2005 to 2013. - Owner and Master of Cal 39 sloop – “Wild Honey” – berthed on Mackinac Island, MI. Cruised and raced extensively throughout the Great Lakes. Previously owned 4 sloops berthed in the northern Great Lakes. - Offshore race starting in Annapolis, MD, racing the length of the Chesapeake Bay with the finish in St. David, Bermuda. Served as watch captain and helmsman. - Sailing Instructor – British Virgin Islands – Taught sailing and liveaboard fundamentals to college students for credit in 2 week sessions. Sailed and instructed on Oceana 43 sloops- 2001, 2006. - Mackinac Island Round the Island Races – Participated in bouy races throughout the Mackinac Island and Mackinac Straits area since 1992. - Three day race originating on Mackinac Island, finishing in Little Current, Ontario, in the North Channel of Canada. - Offshore race starting in Port Huron, MI, finishing on Mackinac Island. - 333 mile race, starting in Chicago, racing the length of Lake Michigan to Mackinac Island. - Mackinac Island Round the Island Races – Participated in bouy races throughout Mackinac Island and Mackinaw Straits area since 1992. - Sailboat delivery – sailing a CT- 54 ketch from Ft. Lauderdale to Great Lakes by way of Erie Barge Canal– 1982.